The Bulls had the downhill advantage in the first half as they kicked the ball to the Cougars to give them first use. James Feather broke the deadlock on twenty-four when the Cougars finally found their way over the line after a good patient build up. Ben Hardcastle added the extras from in front of the sticks for a 6-0 home lead. The Bulls had a try ruled out on twenty-eight for a forward pass. But with a minute to go to the interval Ethan Ryan took a high kick to the corner to crash over the line and ground. Elliot Minchella failed to convert from the touchline, the Cougars retaining a two point lead going into the sheds. Playing down the hill in the second half, the Cougars but it was Bradford who scored first when George Flanagan went from acting half to burrow under the Cougars defence to score under a pile of players. Michella kicked the conversion to give the Bulls the lead for the first time in the game at 10-6. When the Cougars were penalised for not clearing the ruck on fifty-three Minchella kicked the penalty goal to extend the lead to six points. The pressure was all on the Cougars line. On sixty minutes Steve Crossley was held up on the line but against the run of Alfie Seeley collected the ball on the wing, picking the pocket of Ryan, to scoot down the touchline and then come in field to improve the angle. Hardcastle added the conversion to level the scores at 12-12. It was game on going into the final quarter. Keighley again interfered at the play the ball, and once again the Bulls took the two points on offer throught the boot of Minchella, for a two point advantage. With five minutes left on the clock Joshua Lynam was sin-binned for arguing too vociferously with the offical. The Cougars threw all that they had into the dying seconds but the Bulls held firm for a hard fought and narrow victory having being given a real run for their money in a classic cup tie. 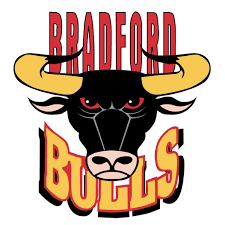 It’s the Bulls who go into the hat for tomorrows fifth round draw where their supporters will no doubt be hoping for a home draw against the old arch enemy, the Leeds Rhinos. Cougars: Welham, Dixon, Cooke, Hallett, Seeley (T), Miller, Hardcastle (2G), Bailey, Million, Hallas, Lynam (SB on 75), Muranka, Feather (T). Subs: Coventry, Levy, Gaylor, Parker. Bulls: Ryan (T), Grant, Gibson, Oakes, Foggin-Johnston, Pickersgill, Milnes, Wilson, Wildie, Crossley, Garside, Storton, Minchella (3G). Subs: Flanagan (T), Bustin, Hodgson, Magrin.